There’s an endless amount of data, both scientific and anecdotal, proving that dogs can develop strong bonds with their owners. People aren’t kidding when they say they “love” their dog, or their dog “loves” them. But we’re woefully ignorant about the nature of the relationships that form between our pups. In an effort to shed more light on the matter, Vice spoke with Dr. Marc Bekoff, a researcher and former professor of animal behavior, cognitive ethology, and behavioral ecology at University of Colorado, Boulder. “If you define love as a long-term commitment—meaning they seek one another out when they're apart, they're happy when they're reunited, they protect one another, they feed one another, they raise their children together—then of course non-human animals love each other," he explained. 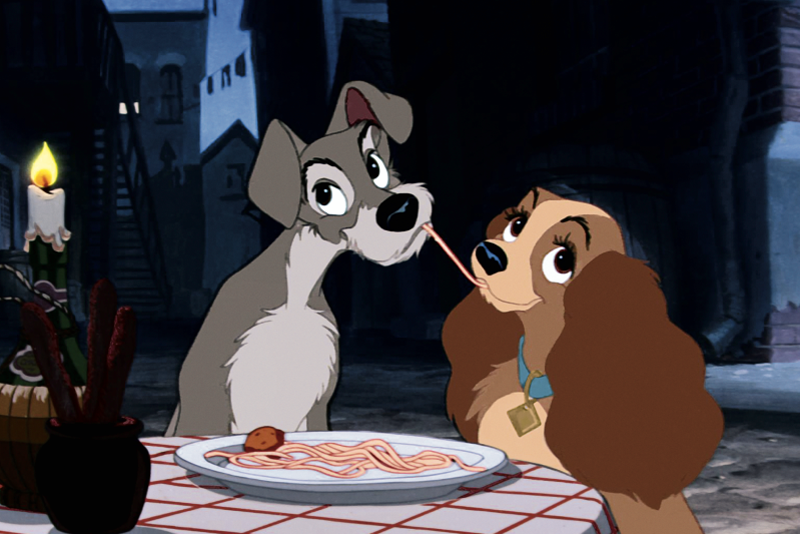 Basically, even though our furry friends don't really experience "romantic" love, a la The Lady and the Tramp, they still can form deep and lasting bonds with their fellow dogs as well as their humans. In fact, evidence shows that most dogs practice monogamy. And as Bekoff pointed out, puppy love can be even more intimate than human relationships. "Dogs aren't afraid to sniff each other," he explained. "They express themselves clearly, and they're not afraid to say, 'I love you.' "
Once again, it seems we have a lot to learn from dogs.